Trump says Washington “would be extremely upset” if Syrian President uses chemical weapons again. U.S. Donald Trump on Thursday said that Washington “would be extremely upset” if Syrian President Bashar Al-Assad uses chemical weapons again. Speaking at a press conference with Kuwaiti Emir Sheikh Sabah al-Ahmad Al-Sabah, Trump responded to a question about a UN report released this week alleging that Syrian President Bashar Al-Assad's government had used chemical weapons 27 times during the civil war, including using sarin in an April 4 attack on the town of Khan Sheikhun. "I find it hard to believe that after what we did the last time that Assad would do it again," Trump said. "But nothing would change, we would be extremely upset if he was using chemical weapons." Following the deadly chemical weapons attack in April, Trump ordered an attack on a Syrian airbase using 59 Tomahawk missiles. At the same time, Trump clarified on Thursday that "we have very little to do with Syria other than killing ISIS." 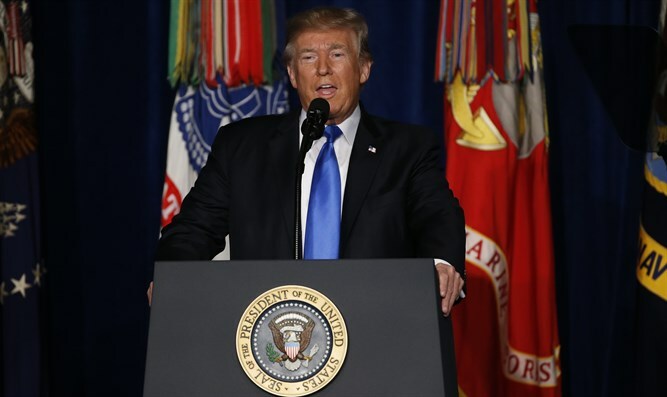 "As far as Syria is concerned, we have very little to do with Syria other than killing ISIS," Trump said Thursday. "What we do is we kill ISIS, and we have succeeded in that respect. We have done better in eight months of my presidency in the previous eight years against ISIS. So ISIS is rapidly disappearing as you know, and that's because of our great military."